We will suspend a personalised stainless steel plaque, engraved with the words of your choice on the adopted or donated tree of your choice. Swansea Council's 'Adopt a Tree' scheme is a great way to support and enjoy Swansea's parks and gardens in which many people enjoy time with their families, and gives residents a place to sit and relax come rain or shine. A contribution towards the adoption of an existing tree or donation of a new tree is an ideal way to mark an important milestone, event, or to commemorate the life of a loved-one or pet. The scheme offers the opportunity for businesses, organisations or individuals to have a personal and tangible place in one of our beautiful gardens, parks or leisure areas. Existing trees can be adopted for £200 for private customers and £240 for businesses or organisations (inclusive of VAT). New trees can be donated for £300 for private customers and £360 for businesses or organisations (inclusive of VAT). In recognition of the contribution we will suspend a personalised stainless steel plaque, engraved with the words of your choice from the tree. The donation will fund and maintain the tree and the engraved plaque. Tree planting will usually be carried out during the months of January and February or when suitable conditions allow. Trees under this scheme can only be donated or adopted on land owned by Swansea Council. We will accept adoption or planting in any park or area of leisure land. The limiting factors would be the species preferred and the space available which will be confirmed by Parks. Once you have decided which location you desire, you have read the Terms and Conditions, and that you wish to proceed with the adoption/donation, please complete the online enquiry form below. Once the enquiry form is received and your order details have been confirmed, a link to the online payment form will be emailed directly to you. If online payment is not possible then alternative options will be provided. 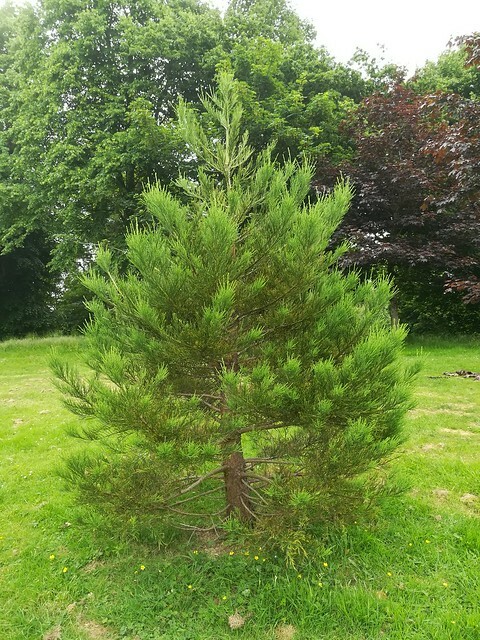 The charges for adopted or donated trees are reviewed annually and may be subject to increase, with any such increase taking effect from 1 April until 31 March each year for which the council will require full payment in advance. The order for the tree will only be placed when payment has been received. In some of the council's parks, gardens and open spaces there are existing trees that could be made available for the addition of an inscribed plaque suspended in view. The contribution required for this option is £200 for individuals (excludes VAT) or £240 for businesses and organisations (includes VAT). This option allows for the planting of a new tree in one of the council's parks, gardens or open spaces. The contribution required per tree is £300 for individuals (excludes VAT) or £360 for businesses and organisations (includes VAT). This includes the supply and delivery of the tree, planting and staking, compost and fertiliser, aftercare and watering until established and the suspension of an inscribed plaque. We will need a valid email address to provide you with the payment details. I confirm that I have read the Adopt a Tree Terms and conditions. We will discuss the tree location with you. Your plaque inscription can be discussed and confirmed at a later date. However if you already have something in mind please insert it here. Inscriptions will be confirmed with you before we proceed with your order. Please note: The whole process normally takes up to 10 weeks from receipt of order for adoption of an existing tree. New trees are planted January and February only. I agree to abide by the terms and conditions of the Adopt a Tree Scheme and the rules and regulations as approved by Swansea Council. The order for the tree will only be placed when payment has been received.